KI Convention Center is the largest convention facility in Northeast Wisconsin. It's located in Green Bay and is named after a local contract furniture company. This photo was sent in by AS. He writes: "The urinals of the KI Convention Center, 333 Main Street, Green Bay, WI. 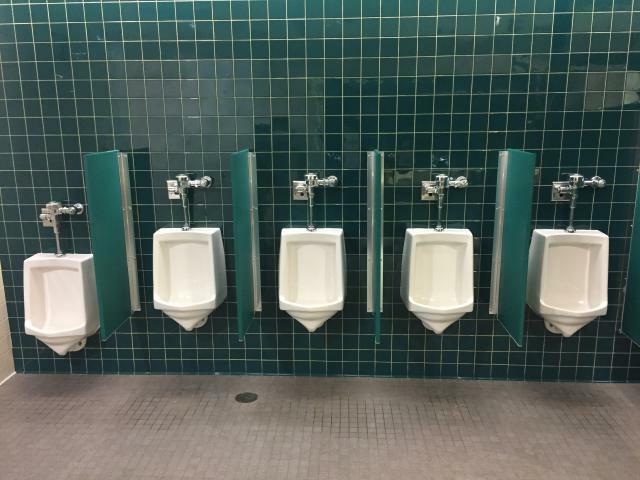 These urinals are located on the first floor, just outside the James F. Kress Ballroom, A-1 entrance."